Branding is used to preserve the core values of your company. Without proper branding, your company could potentially be a forgettable experience, losing clients and leads along the way. 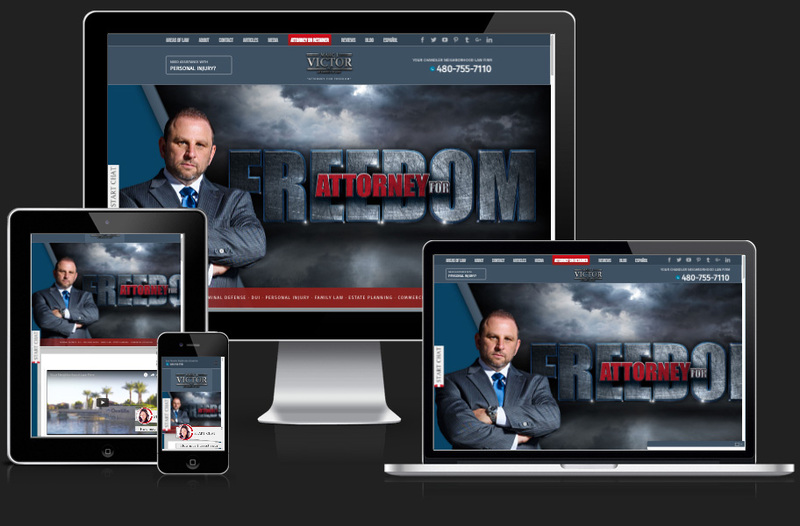 A memorable and impactful identity to match Marc J. Victor’s values as a law firm. Stand up, stick out, and get noticed… on ALL devices. All of Marc J. Victor’s employees have customized signatures to match the law firm’s branding. 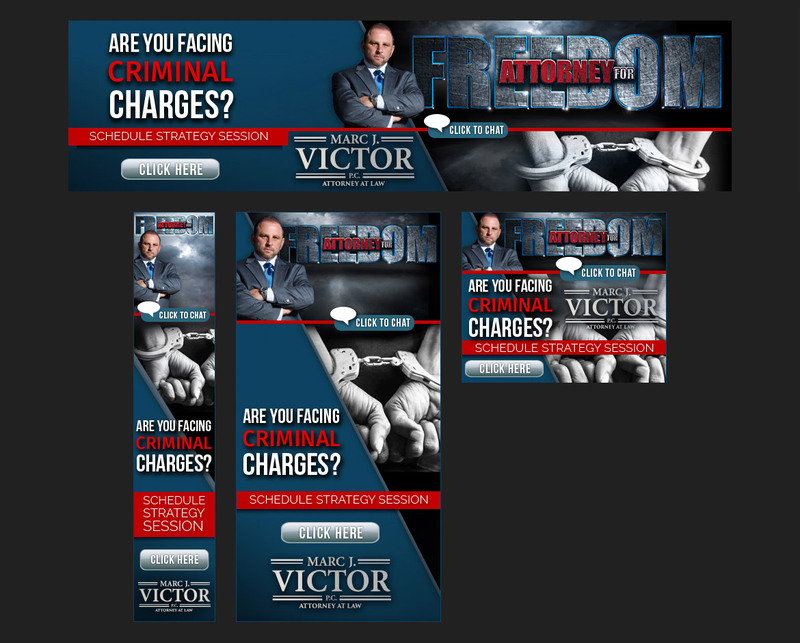 Custom web graphics were provided and implemented as a header image for various pages, complimenting Marc J. Victor’s new web design. Designed specifically in compliance with major advertising platforms, these custom-made banners were created strictly for conversions. 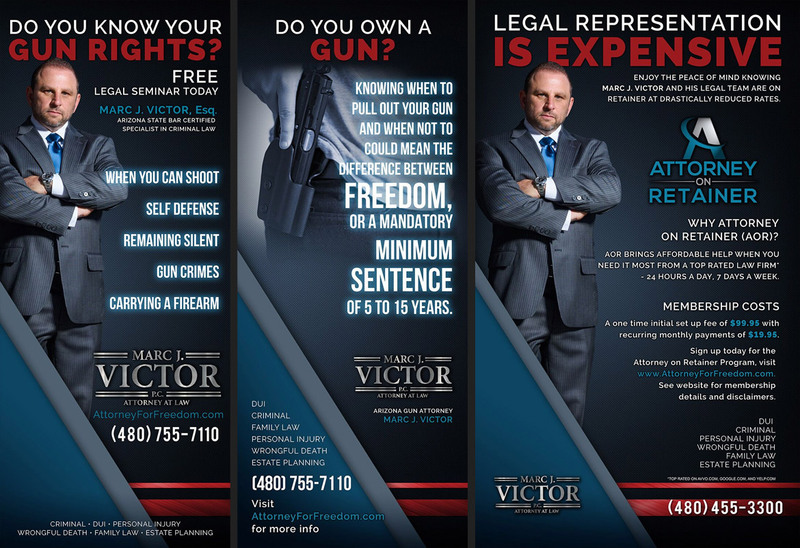 Users who click on the banners will find themselves on Marc J. Victor’s website, which is a familiar territory thanks to familiar branding. Perfect for events of all sizes, retractable banners allow you to establish your branding with potential and prospective clients no matter where your team might end up at. 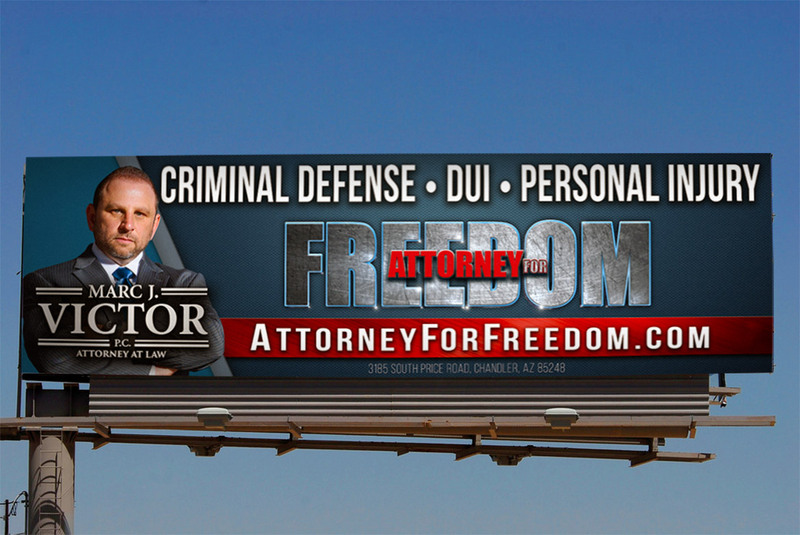 Custom Printable Print Ads allowed Marc J. Victor to maintain his identity while presenting out of office. Printable handouts allow yourself to spread key information you want to share about your company or business in a familiar and friendly fashion. We make sure the cover establishes and embellishes your brand. An underrated means of advertisement, billboards allow for your branding to be upfront and visible when people are commuting daily. Factor in those who are commuting to work five days a week and you should realize that seeing your logo, colors, and face will overtime embed your company within their memory, putting them into friendly territory whenever they come across it elsewhere. 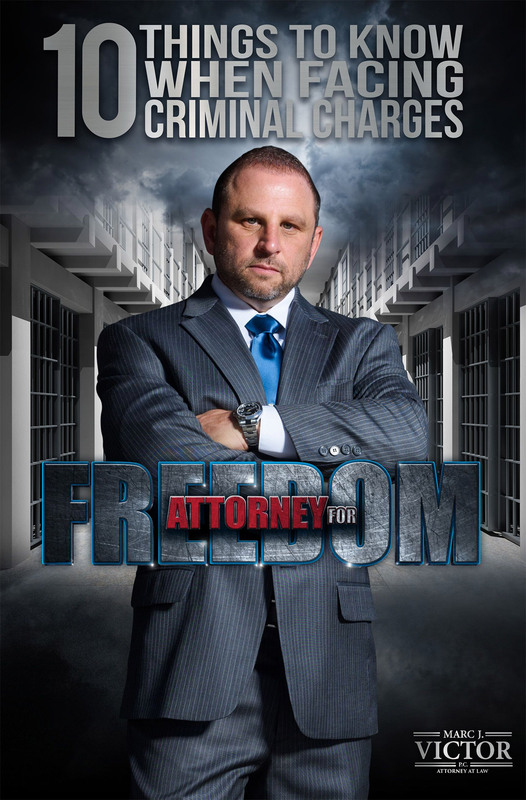 Marc J. Victor’s strong and passionate pose next to his logo portrays a confidence that people need when seeking out a law firm at their most fragile times in life. Ready to Leverage Your Company's Branding?